Try this great recipe to start your New Years’ off in the yummiest, healthy way! 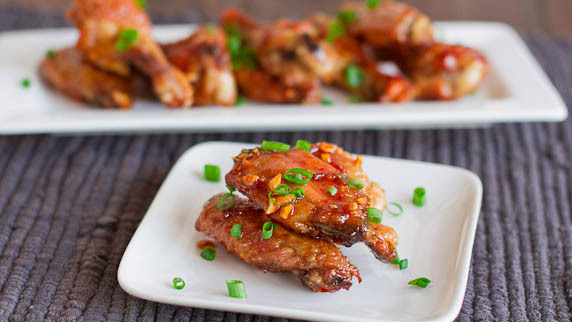 If your chicken wings are whole, cut them into 3 pieces at the joints and discard wing tips. Salt and pepper the wings and then place them on the baking sheet. Bake them for 45 min to an hour depending on how crispy you want them. Mix the rest of the ingredients together. Pour the mixture in a small saucepan and over medium heat bring the sauce to a boil then reduce heat and simmer until mixture reduces and thickens, about 5 minutes, it should reduce to about half. Place the wings in a bowl and drizzle the sauce over the wings. Toss the wings in the bowl until each wing is fully coated.